Hi there merry goers! Although it is the end of the month but today I would like to show you my 2015 makeup look that is super simple and natural to pull off as your daily look. This look uses the makeup that I received from the Butterfly Project Beauty Box last Christmas. 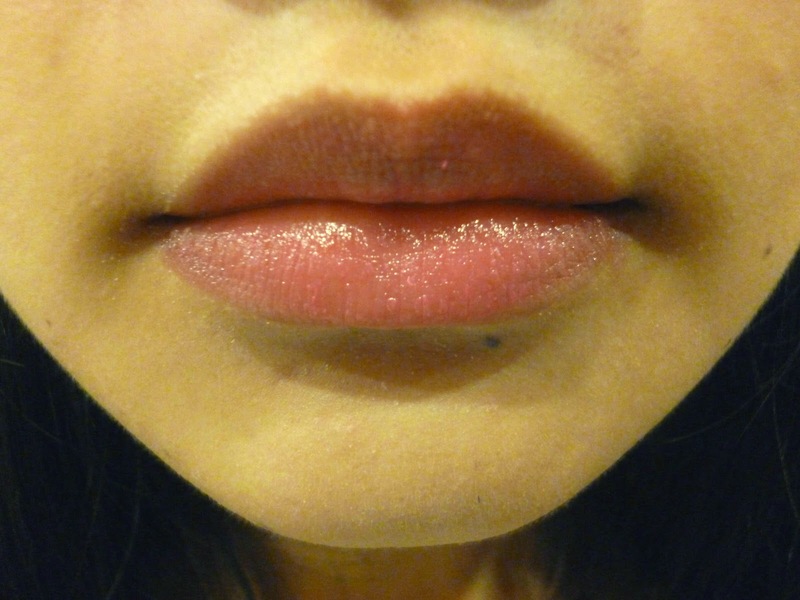 You can see my review of the Shizens Lip Tattoo that I got from the box as well here. 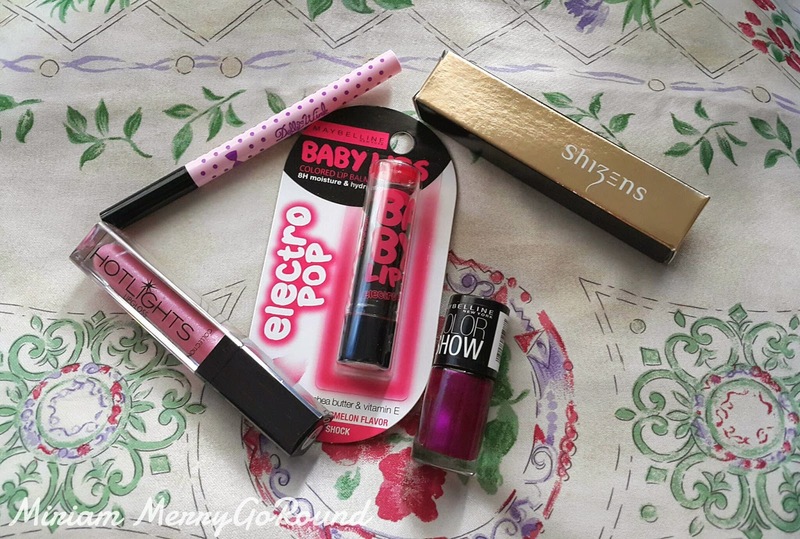 The three main products used in this makeup look is the Dollywink Eyeliner, the Maybelline Baby Lips Electro Pop (Watermelon) and the Color Cosmetics Hotlight. I was also given the Maybelline Color Show Nail Polish but as I am having my gel manicure so I haven't gotten the chance to try it out yet. Will update you all when I've tried it but so far it looks really pigmented and shiny. 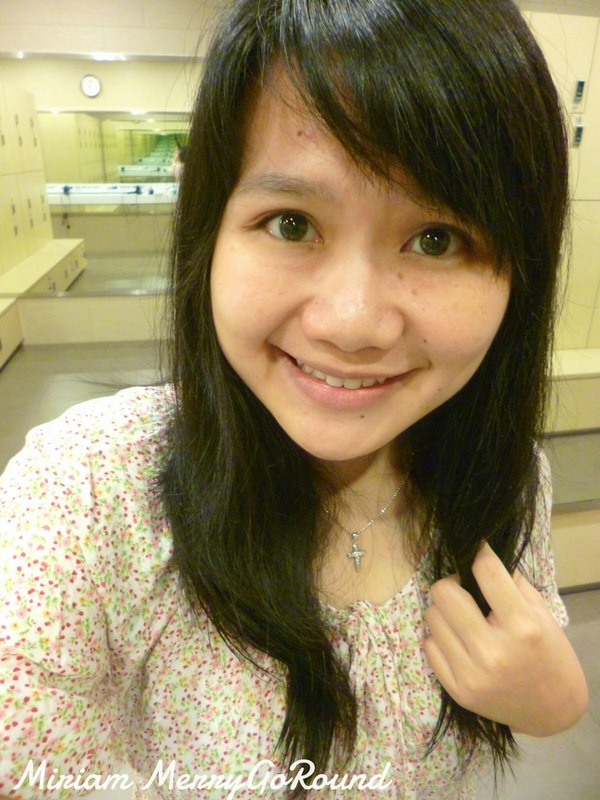 So be ready to see my bare face without any makeup. I actually did this makeup tutorial after my gym session so there is definitely no makeup on my face initially. Sorry for the tired face though. 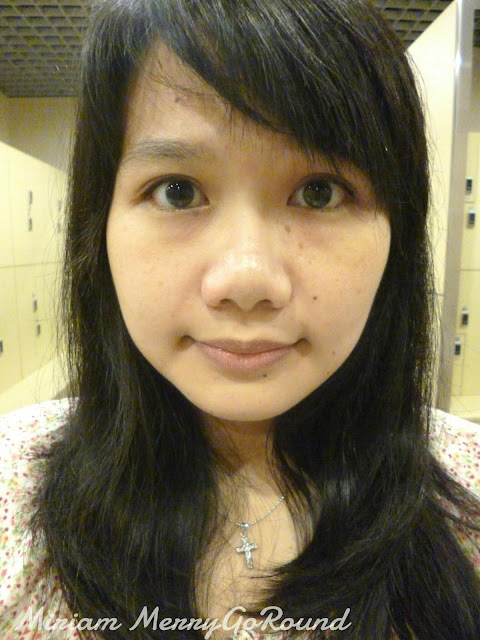 I start off my makeup look with a prep face after the usual toner and moisturiser. 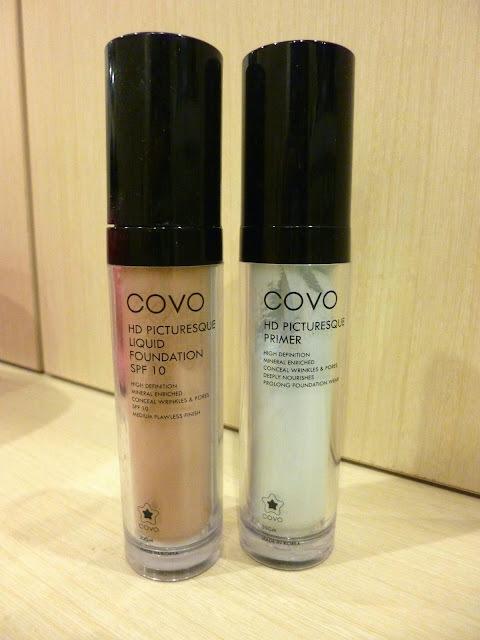 Next I'm using Covo Face Primer and Covo Liquid Foundation in shade No. 2 Glow. 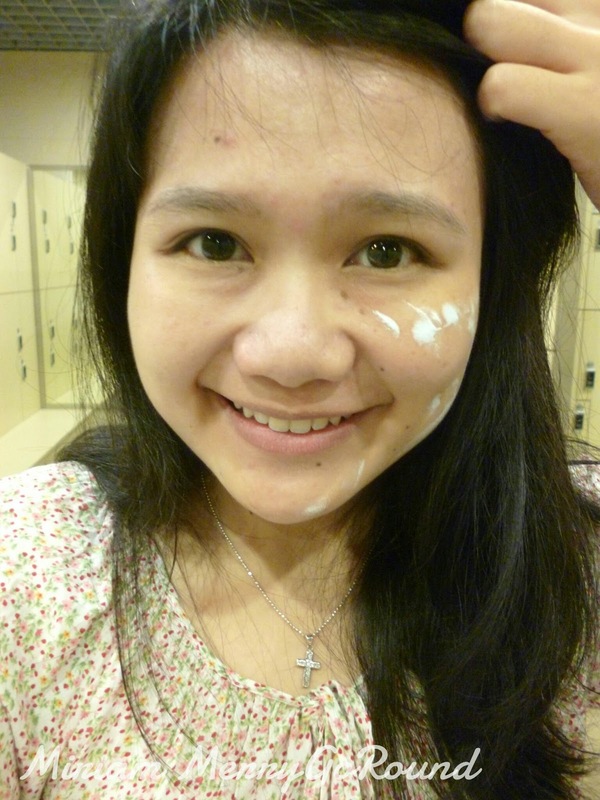 I love the Covo Face primer which I got at a super discounted price during the Covo sale. This face primer helps to even out my skin tone and brightens my complexion. Can you see the difference of the right and left side of my face?The side with the primer fully blended in looks brighter! 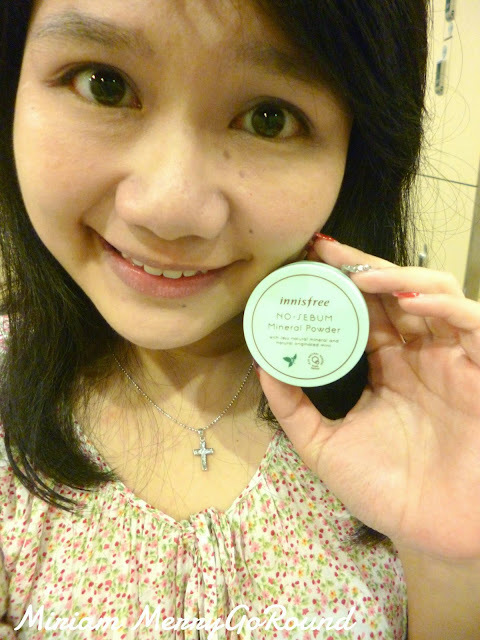 After blending the foundation well, I use the Innisfree Sebum Free Powder which works well to set my face makeup and gives me a matte smooth complexion. I love this loose powder and really recommend this to anyone who had worries about oily T zone. I got this online previously but now there is an Innisfree shop at Sunway Pyramid that you can get this amazing powder to keep you shine free all day. 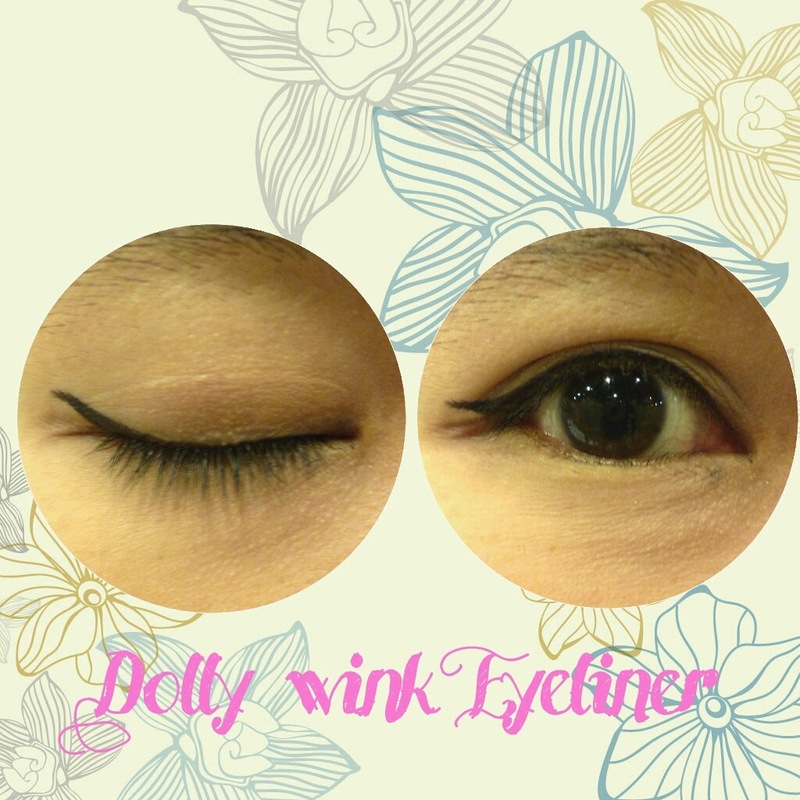 To open up my eyes, I'm using the Dollywink Eyeliner. 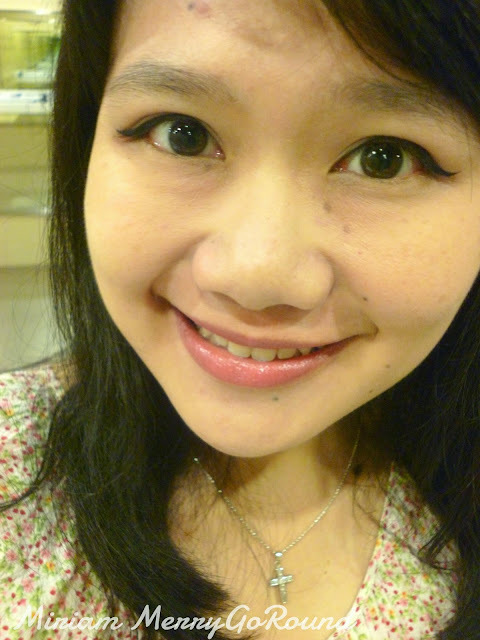 I am quite particular about eyeliners as I have oily eyelids that cause me to have panda eyes by the end of the day. 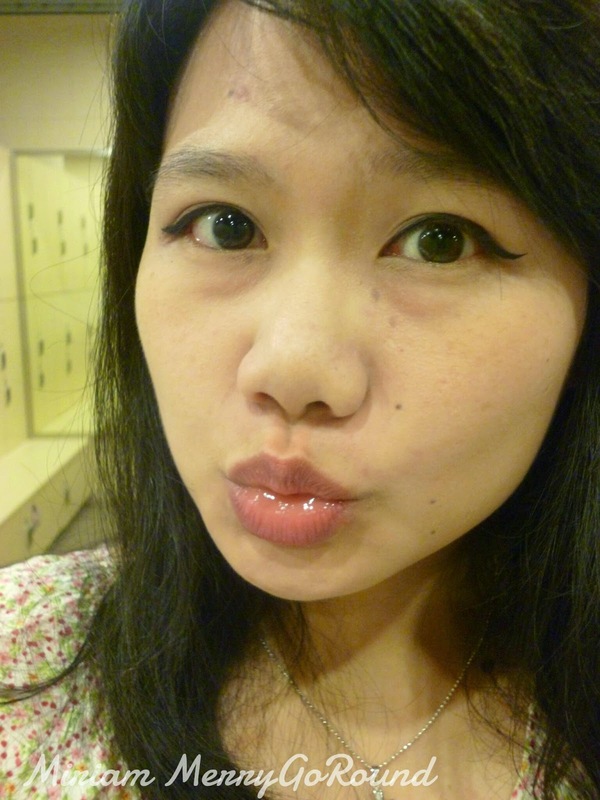 The only liquid eyeliner that I totally swear by is the Clio Killer Black Eyeliner so let's see how well the Dollywink Eyeliner will fare. The tip of the eyeliner is sharp and really helps to draw a clean sharp line. 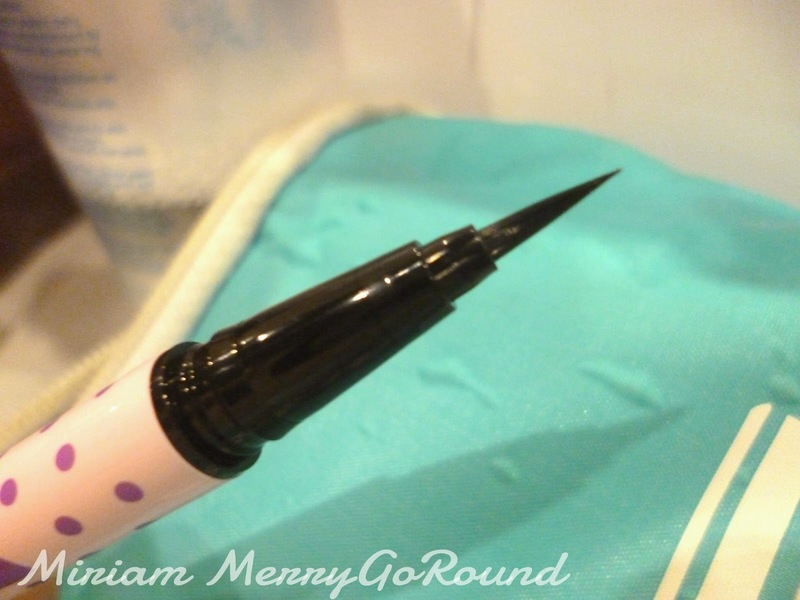 This eyeliner really helped to draw a nice line and a nice flick for my upper lashline. 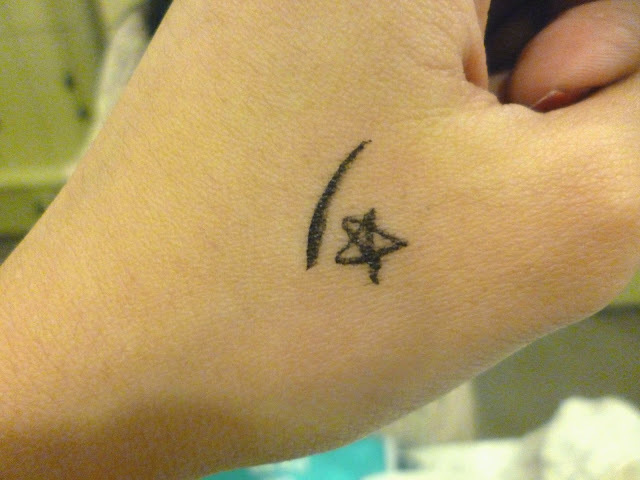 It is also smudge free and I did not suffer from any panda smudges any the end of the day. 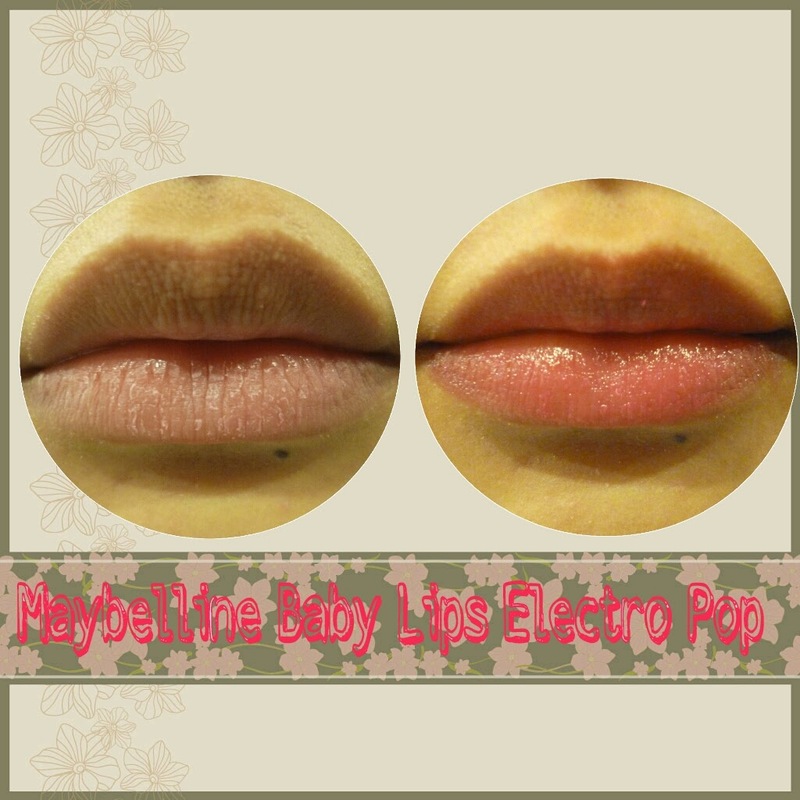 Next to give my face a little colour I used the Maybelline Baby Lips Electro Pop for both my cheeks and lips. Initially I felt a bit worried that the colour would be too striking but surprisingly the colour swipes on slightly sheer but it was buildable. I patted some it on my cheek and it gave me a nice pink flush on my cheeks. 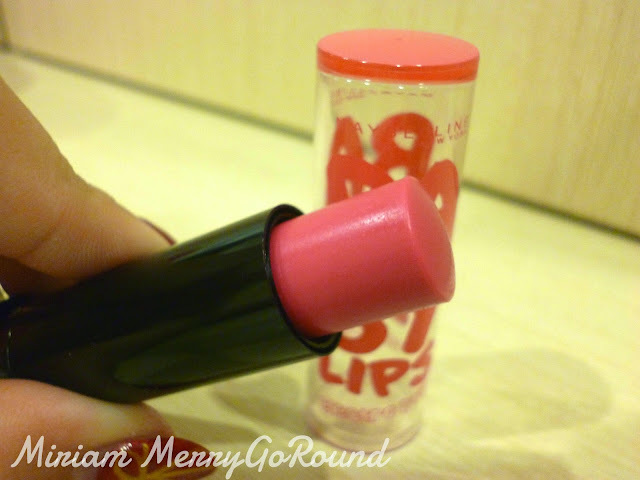 The Lip balm also helped to give more moisture and colour to my lips making them look more plump and kissable. Tada! 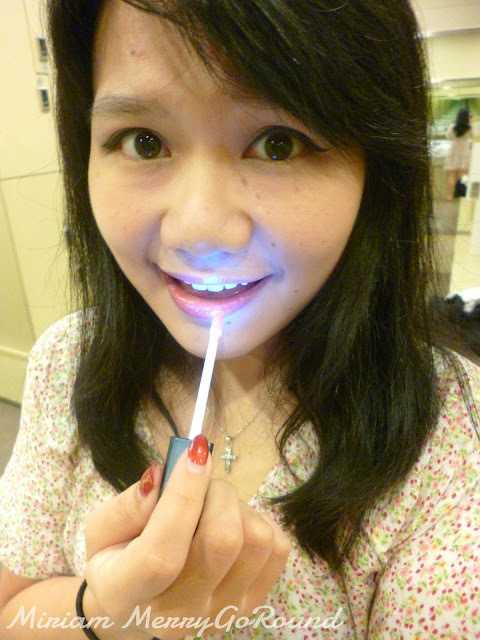 There is LED lights which comes together with the applicator which h means you no longer need to worry about no being able to apply your makeup in the dark. 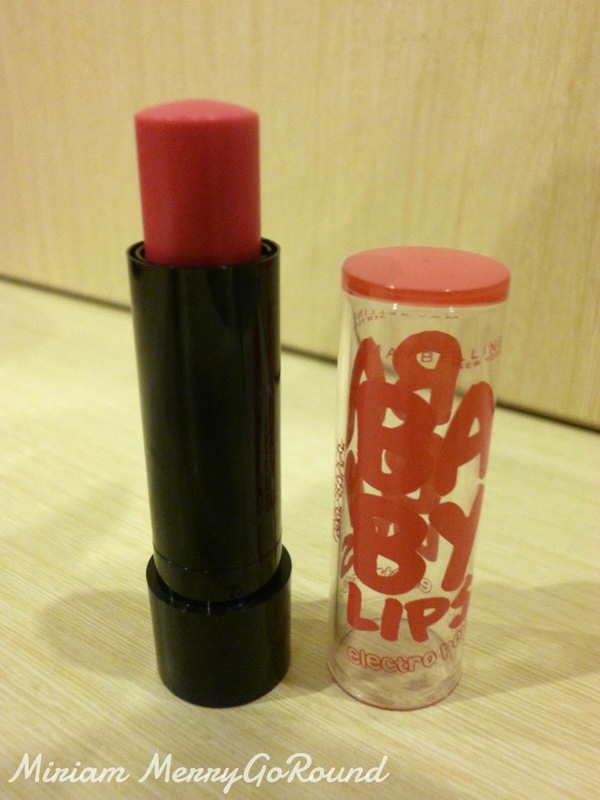 This lip product also comes with a built in mirror so that you are able to apply your makeup well. And there you have it! My 2015 daily makeup look which is super easy to apply and just takes a few minutes to apply! I hope you enjoyed my simple tutorial for this makeup look and see you all soon in my next post!